The MCTE Fall Conference is officially SOLD OUT. If you desire to be placed on a waiting list to attend, please contact Executive Director Jim Kroll at [email protected]. Teaching and learning are inherently collaborative. The ways we work, both in our classrooms and in professional communities with our colleagues, are always better when we work with each other to create knowledge and share it with others. As teachers, we set the tone for learning in our schools and in our communities. MCTE invites you to join our learning community on October 19, 2018 for our annual Fall Conference, Better Together: Building the Future through English Language Arts. Educators from across Michigan will engage in conversations and enjoy enriching presentations on topics that range through the world of English language arts. Registration opens at 7:00am, with sessions that run from 8:00 A.M. to 3:30 P.M.
Kelly Gallagher, a prolific writer (Write Like This, Deeper Reading, Readicide, In the Best Interest of Students, and 180 Days) and nationally-prominent teacher and scholar on teaching English Language Arts will be our keynote speaker. 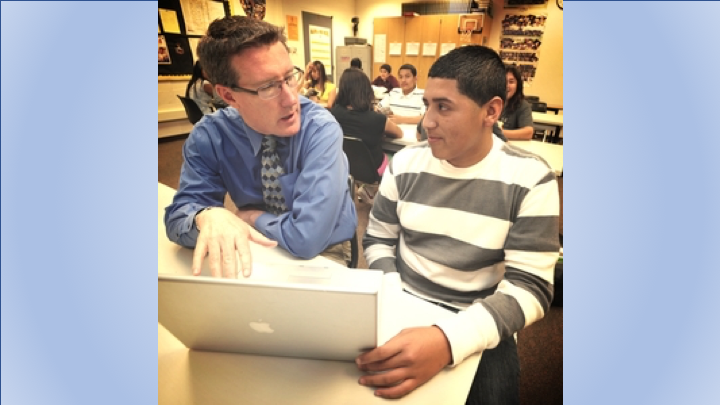 Since 1985, Kelly has devoted himself to the teaching of reading, writing, listening and speaking—first and foremost, as a high school ELA teacher in Anaheim, California, and also as an author/consultant who works with educators around the world. Today, he is considered one of the leading voices in literacy education. He shares his resources at http://www.kellygallagher.org. 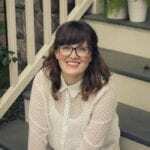 Emily Kastner, the founding director of Read and Write Kalamazoo and an author/illustrator of children’s books, will give our lunch presentation. Emmy was born in Michigan, and was driven by storytelling from a young age. As a former high school teacher of English and science, and co-founder of the nonprofit literacy organization, Read and Write Kalamazoo, she is committed to forever empower, celebrate and amplify young voices. As an author-illustrator, she strives to create stories that reflect our diverse world and encourage curiosity in her readers. Find out more about her work at www.emmykmakes.com. A Pre-Conference Workshop will be held on Thursday, October 18, 2018. This year’s Pre-Conference Workshop is entitled, “What’s Worth Spending Time On?” For this year’s pre-conference, we will take a “deep dive” into the stellar, new text written by Kelly Gallagher and Penny Kittle: 180 Days: Two Teachers and the Quest to Engage and Empower Adolescents. More information can be found in the event description below. MCTE Fall Conference attendees can reserve a room for Thursday, October 18th, 2018, at the Kellogg Hotel for the discounted rate of $118. For reservations, call (800) 875-5090 and mention the MCTE Fall Conference. Reservations must be made prior to September 18, 2018. Rooms are filling quickly, so please reserve your room ASAP! Register by August 15, 2018 to take advantage of early bird rates! Purchase tickets online below (via PayPal, credit card, or check). If you wish to register by mail, please click here for a printable registration form. Conference registration includes a continental breakfast and boxed lunch on October 19th, as well as a year-long membership in MCTE. MCTE members receive two editions of the Language Arts Journal of Michigan (LAJM), a publication of MCTE, and regular issues of the Michigan English Teacher. Read more about the benefits of MCTE membership here. Register by August 15, 2018. Register by September 30, 2018. Register after September 30, 2018. Discounts available for large groups from the same school. If you plan on registering THREE or more teachers from the same school, please contact the Executive Director for a coupon code to be used during registration. Individual attendee information will need to be entered for each ticket purchased. Registration questions should be directed to MCTE Executive Director Jim Kroll. Our MCTE Pre-Conference Workshop will be held on Thursday, October 18, 2018 from 4:30 – 7:00 pm at the Kellogg Center (materials and snacks at 4:30 pm; session content begins at 5:00 pm). The registration fee for the pre-conference workshop is $65 and can be added to your fall conference registration below. 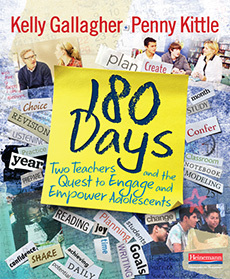 180 Days: Two Teachers and the Quest to Engage and Empower Adolescents is available from Heinemann Publishing. What do we plan and how do we revise our plans while teaching? How do we keep our students at the center of our teaching? Participants will look closely at how Gallagher and Kittle mapped out their year. We’ll view some video clips of their teaching and closely interrogate their message and craft. Three experienced MCTE teachers, from three diverse Michigan communities, will lead this year’s pre-conference session. Please join Toby Kahn-Loftus from North Central Michigan College, Jim Kroll from L’Anse Creuse Public Schools, and Geryl Lobert from Chippewa Hills Public Schools as they dive into the enlightening and inspiring ideas in this provocative new professional text by our 2018 keynote speaker. Purchase tickets for the pre-conference workshop online below when you register for the conference (via PayPal, credit card, or check). If you wish to register by mail, please click here for a printable registration form. Registration questions should be directed to MCTE Executive Director Jim Kroll. Ticket sales are powered by Event Tickets Plus.